3D Printing Course – How Does It Work? With so many people talking about 3D printing in schools it can be challenging to separate the facts from the myths and create an experience that is exciting, engaging and fully rounded to equip your learners with the skills needed for modern careers in STEM. So how does BCA’s 3D Printing course work? 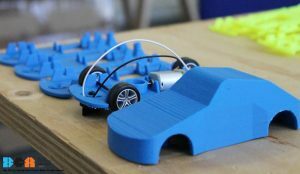 Start off by getting the basics right, choose one of our specially designed 3D Printing projects for education aimed at those starting 3D printing in schools for the first time. Each project is physically dimensioned so that they take as little time to 3D print as possible. They are designed to be classroom-friendly meaning reduced 3D printing time, reduced wasted material, and less frustration from failed 3D prints. With this course, you will know exactly what to teach when it comes to 3D printing in schools. Detailed course resources will save you several days, if not weeks, of planning and creating lesson resources – our materials are tried and tested with schools across the country. Who or when to teach 3D printing? Our 3D Printing courses are designed around a 3D printing project, which can be taught as a core part of Design and Technology timetables, as part of a carousel timetable, or as part of an after-school or enrichment programme. With every BCA 3D Printing course, you get up to 6 teacher logins. That means a whole department can use our course VLE to teach from or a number of teachers from across your school can access the 3D printing curriculum to make it truly a cross-curricular tool for teaching. 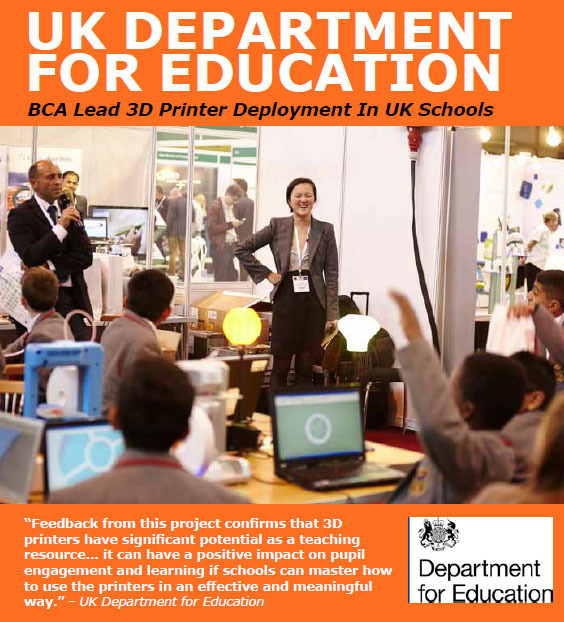 We have Computing, ICT, Physics, Maths, and Design and Technology teachers all using BCA’s 3D printing courses to teach from in schools. One project typically takes between 8-12 hours, so with one lesson a week you can cover a starter project in a term. If you have less time, we have pre-prepared templates so you can accelerate through some of the exercises. This may also be an option to consider to differentiate learning for your SEN students. BCA’s 3D Printing courses are accredited by the Ofqual accredited awarding body TLM. Each of our projects is designed so that, should you choose to, your learners can submit their completed 3D Printing projects to TLM to gain accredited certificates in 3D Printing (Additive Manufacturing). 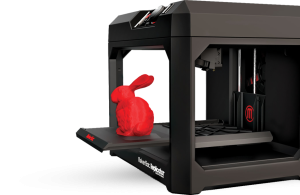 Certification is completely optional and, as long as students keep a record of their work as they go along, you can decide at any time whether you want to submit their 3D printing projects for certification. The certification can be a great bonus and incentive for learners, while also showing to parents that your school is giving students benchmarked skills which will help their employability in the future.